The Upper School musical and each grade’s annual class play are important touchstones along the road of a Country School education. The musicals that are produced each spring are in many ways the culmination of years of work. Starting in Kindergarten, children have a number of opportunities to perform on stage each year. In addition to the class plays and Upper School musical, there are two talent shows a year and each homeroom takes a turn beginning our weekly assembly with a poem or song. Since every child participates in at least their class presentations, confidence and abilities have a chance to develop so that being on stage and in front of a group becomes almost second nature. Surveys say that among Americans’ greatest fears is speaking in front of a group. Not so of Country School students! Class plays assume a key role in developing the remarkable level of poise and stage presence our children demonstrate. These productions also foster creativity, team work, an appreciation for each person’s contribution to the whole, and the wonderful feeling that comes from achieving success in a demanding and positive activity. Class plays also afford the two homerooms at each grade level an important chance to work together. 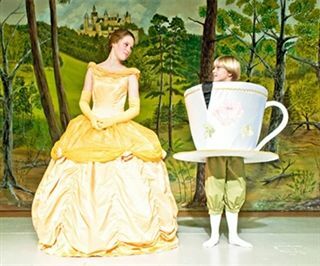 Parents often get into the act in numerous ways – from making costumes and scenery to hosting the little “cast parties” that celebrate the productions’ success. Classes bond and feelings of community are strengthened. Although these plays are undoubtedly time consuming, they offer important opportunities for our students to work together and nurture abilities they might not even know they have. In the process, character is strengthened and lasting memories are made. All of this is replicated and amplified in many ways through the astoundingly successful Upper School musical productions. The level of performance our students achieve is impressive. The students make a strong commitment to the production and rehearse for months. The quality of their acting, singing, and dancing is inspiring, as is the shows’ staging, lighting, costuming, make up, and special effects. Directors Rick Osborne and Pam Harrison and our parent producers begin planning for the next year almost as soon as the scenery comes down from the current play. Numerous parents and volunteers also lend countless hours and special talents to every aspect of the production – from backdrop painting to publicity. The quality of what our students achieve and experience through the Upper School musical is unrivaled. The natural impulse for children to “put on a show” finds an early and frequent forum at The Country School. Yet as wonderful as all of these productions are, their lasting power lies in the underlying lessons they make possible for our students. It is through these opportunities that our students (and our audiences) reap the benefits of this important hallmark of a Country School education. 2019 Production: Dear Edwina, Jr.
Dear Edwina JR. follows the adventures of plucky advice-giver-extraordinaire, Edwina Spoonapple, as she directs the neighborhood kids in a series of buoyant production numbers for the latest edition of her weekly "Advice-a-Palooza.” Edwina and her friends share wisdom on everything from trying new foods to making new friends through clever, catchy and poignant songs.